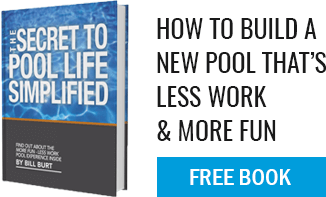 Consider if it is possible for your pool loan to qualify as home improvement financing. This can oftentimes help you negotiate better terms and come tax season, make you eligible for a deduction. Talk to industry contractors who bring years of professional experience to help you navigate your way through the complicated process. Our professional staff can discuss your options and budgets so you have a better picture of what is available to you to help you define the scope of bringing your project from vision to fruition. Considering the smaller items is something that many people often overlook. This means that you need to keep in mind money for fencing, lighting, pool care and maintenance, and equipment upkeep. You want to ensure that your pool build or remodel is an affordable adventure before you start. At Aqua Pool and with our partnership with Paramount Capital Finance, we offer low fixed rates, six months of deferrable payments, twenty-five year financing options, that can add up to 100% of available financing to help you complete your project!